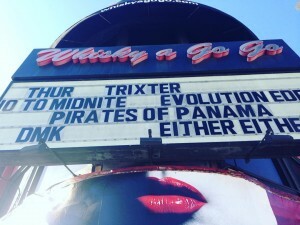 Press Pass LA recently caught up with Pirates of Panama at their show at the Whisky A Go Go to talk about their new EP “The Chase” and what’s next for this British duo! 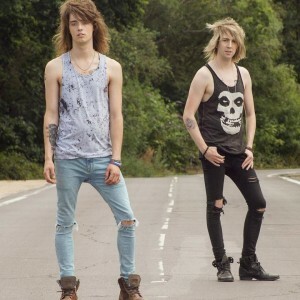 Pirates of Panama is an English rock band, formed in Bournemouth in 2011 made up of super duo vocalist/bassist Louis Collins and guitarist Ed Van Egan. In just four short years they have established themselves on the music scene bringing their own style of hard hitting, ballsy punk rock and dirty glam metal across Europe and now to the Unites States and Canada. Their latest single “Been There Before” released this August and it has already been picked up on 104.7 KISS FM (U.S.) and in Canada on 92.7. 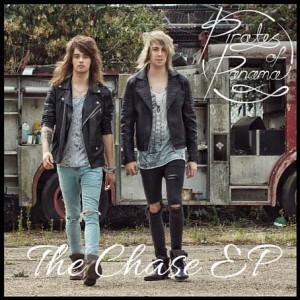 Their new EP entitled “The Chase” dropped October 2nd and the band is currently on a mini-tour of Los Angeles! PPLA: When did you first know you wanted to pursue music as a career? Was there a specific moment or was it a gradual choice? PofP: We have both always been in bands since the age of 13-14 but when we had our first rehearsal in March 2013 as Pirates of Panama we knew that we had something special when we performed together. We knew that we wanted to share what we were creating with the world to inspire another generation of young musicians to follow their passion and create good music people can relate to. PPLA: How did the two of you meet and decide to form Pirates of Panama? PofP: We met through mutual friends/ musicians in our hometown of Bournemouth! And after having a chat about our musical influences and ambitions we discovered that we were on the same wave length and chasing the same goal. It’s hard to find like minded people so we knew we had to take advantage of the opportunities in pursuing our music career together. PPLA: How do you define your sound as a group? PofP: We define our sound as a modern take on a classic distinct sounds . It’s a fresh innovative sound which feels familiar and relates to people. We would describe ourselves as a Glam / Punk / Rock band that brings high energy and unforgettable guitar riffs to original songs that have catchy lyrics people can chant to. PPLA: What’s the biggest difference between UK audiences and audiences here in the U.S. ? PofP: We feel the U.S. audience really engage and embraces what they are seeing in front of them and are not afraid to interact with the band. UK audiences have a different perception of live music and are more reserved in terms of participation and involvement, however they still love the music they hear. Biggest musical influences – Motley Crue, Guns N’ Roses & Led Zeppelin would be our main three but the list goes on forever! PPLA: What’s next for the band? PofP: Building on this already mind-blowing year by continuing to work hard, staying humble and building on the progress we have already made and taking the band to the next level in as many ways as possible. We are currently building a team with our manager Joe Fontaine, Fontaine Artists Management & Entertainment who’s located in Los Angeles, CA and Why Blue Matters PR in branding and marketing us as a band. We were so excited to release “The Chase” EP Oct. 2 and be here touring L.A. Our team is working on getting us on tour in the U.K. and throughout the U.S. We are excited for what the future brings for us and growing as artists. For tour dates and more info, visit Pirates of Panama.